Want To Buy A Used Top Gear Car? For car fans that are missing the Top Gear team, a company in the UK may have just the solution. Classic Car Auctions (CCA) is offering the perfect opportunity to own a piece of the TV show’s history. Driven by Richard Hammond and everyone’s favourite driver, The Stig, the car was featured as part of the sports saloon challenge which was filmed in Germany in 2010. During the episode, the car took part in activities including a high speed test on an autobahn and a drive around the country’s capital, Berlin. It also did a hot lap of the EuroSpeedway, Lausitz, completing a lap in just two minutes and six seconds! 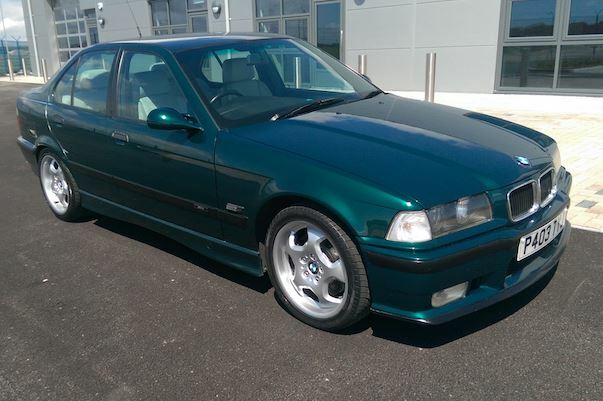 With an interior and exterior in excellent condition, and having covered 79,100 miles, as well as no faults with the engine or electrics, the car is estimated at between £7,500 and £10,500 (Multiply that by around 17 for Rands).